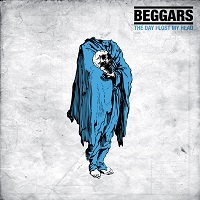 BEGGARS is a stoner rock trio from Athens, Greece and their recent release, a 42-minute long album called “The Day I Lost My Head” is their fifth full-length album. Taking sounds notably similar to some classic bands primarily from Black Sabbath and some from Misfits, they were able to create a somewhat rocking stoner vibe with a mix of some punk attitude from the vocals. The riffs are primarily akin to Black Sabbath’s writings while adding more grooves and chill atmosphere to the songs. The first three songs are pretty good songs to rock to specially the title track “The Day I Lost My Head”, where they exhibited a perfect example of their kind of stoner rock. The riffs are not really heavy but still have the elements of stoner while adding a strong bass and possess a good rhythm to sing along to. This kind of pace is strengthened further by the track “Game” where the bass is even stronger which made it the heaviest song in the album. “Blind” is that one track where they played a little faster but still with almost the same elements present in all the previous songs. The album is doing pretty well defending its integrity. However, there are two tracks in the record where I don’t know what the hell they are trying to do. First is “Medusa”. The intro is very slow and quiet, so my first assumption is that something explosive is about to be unleashed in just a moment. But my perception was wrong and instead it was a completely boring track. Call me a shitter but that’s what it is, and I won’t even suggest you to listen to it to prove myself because it’s really boring non-bearing (I don’t want you to waste five and a half minutes of your time). The second one is the last track, “Genesis”. I know what they are doing here though, they are going slower to catch up with the typical sound of stoner/doom. That actually is an honestly good attempt. The riffs and the solo are exceptional too. The problem is that it simply cannot match well with their overall sound. Also, the fact that they opened the album with the excellent and outstanding “Book of Days” could have added to my disappointment with the closing track because really, if you album was opened by a very notable song, you must end it with at least the same intensity you had with the first song to keep the integrity of the record as a whole. Overall, the album is of average level. Not one to be celebrated, but somehow deserves a spot in your stoner music collection.